We became artists at the same time. We were tiny, timid critters hurtling towards the shore of representation I thought she might not make it – she was very small — and I feared the birds, falcons, eagles would grab her,. But she ducked, retracted her head and limbs (reptiles know how to hide). I ran in adult name only towards the water rebirth. Made it. We separated, reunited, separated again, swam in different directions. 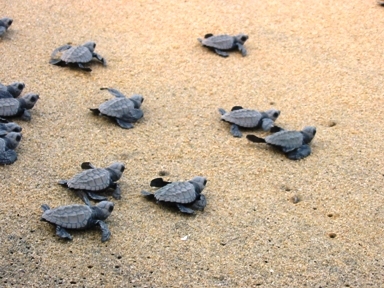 In our small round minds: the same stretch of beach where the hatchlings struggle to outlive the slow run to the wetness. She made a box, I made a poem about turtles. We saw about them on TV. We held each other trembling in the goo that’s called survival.